Providing you the best range of linear bushing bearings, samick linear bushing, thk linear bearing and iko linear bearing with effective & timely delivery. 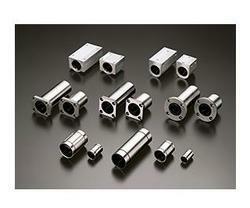 We are a supplier of Linear Bushing Bearings in chennai, Tamilnadu, India. Linear bushing bearings incorporate several rows of recirculating balls or rollers for low friction and precise linear motion. Linear bushing bearings use a round shaft. Both the inch and metric types are available as standard, adjustable and open, depending on the requirements of the applications. 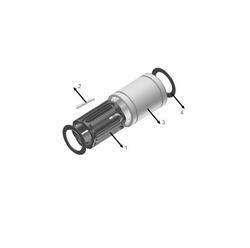 SAMICK Linear Bushing is a the linear motion system with unlimited stroke by applying with LM shaft. In this Minimum friction can be acquired and that can give you the high precision motion. Outer Sleeve is made of high-carbon Chromium Bearing Steel, and inner and outer grinding processes are applied after Heat treatment. We are a supplier of THK Linear Bearing bearing in Chennai, Tamilnadu, India. We are supplying linear bearing in major brands THK and other also. 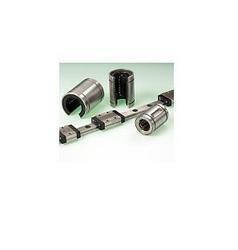 We are a supplier of IKO Linear Bearing bearing in chennai, Tamilnadu, India. We are supplying linear bearing in major brands like IKO and other also. 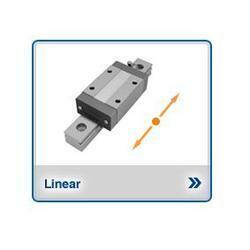 Looking for Linear Bushing Bearing ?